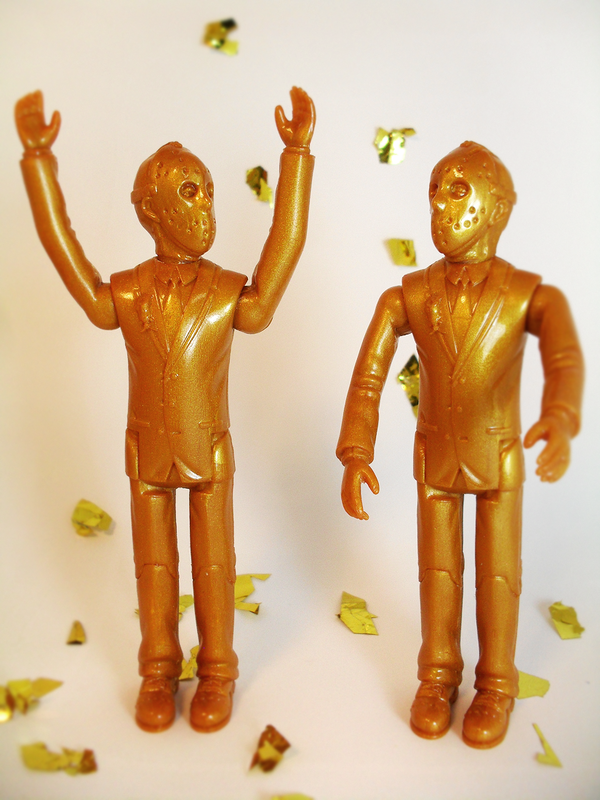 Dropping this Friday, August 8, 2014 at 12:30 PM EST, is a variant on our Crystal Lake Prom bootleg resin action figure. A magical night of walking the red carpet, posing for the paparazzi and maybe a little murder. 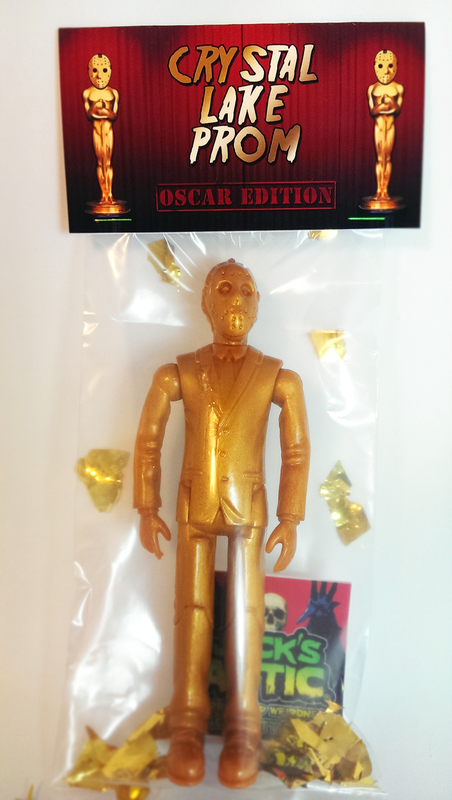 Crystal Lake Prom – Oscar Edition is limited to only two (2) pieces, stands a lofty 6 inches tall and features three (3) points of magnetic articulation. Each piece will arrive poly bagged with a hand numbered custom header card and come packaged with some Jack’s Attic stickers. Available this Friday for only $20 in our SHOP.